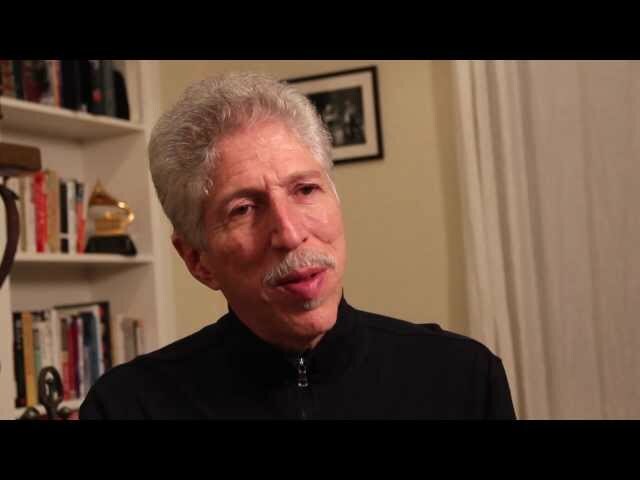 In the jazz world, Bob Mintzer is a household name, usually associated with being a saxophonist, bass clarinetist, composer, arranger, leader of a Grammy winning big band, member of the Yellowjackets and educator. 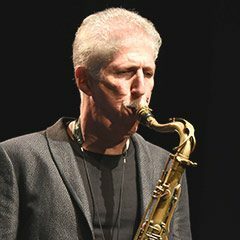 Saxophonist Bob Mintzer is a twenty-seven year member of the Grammy award winning Yellowjackets, also leads a Grammy winning Big Band, performs with his own Quartet, and plays with numerous bands globally. Bob recently became the chief conductor of the WDR Big Band in Cologne, Germany.A respected educator, Bob is the recipient of the Buzz McCoy endowed chair of jazz studies at the University of Southern California in Los Angeles. Based in Los Angeles, Bob continues to conduct clinics and workshops worldwide. He has also written nearly twenty books which are an important part of the curriculum of Jazz education worldwide. Bob writes for orchestra, concert band and big band, with over five hundred charts to his credit. His big band music is performed by groups all over the planet. Bob honed his big band writing and playing skills in the bands of Tito Puente, Buddy Rich and Thad Jones-Mel Lewis. He has also written works for the National Symphony Orchestra, Metropole Orchestra of the Netherlands. WDR Big band in Cologne, HR Big Band in Frankfurt, and was commissioned to write a piece for concert band and tenor sax, Go, by a consortium of 50 universities. As an instrumentalist Bob has worked with Art Blakey, Jaco Pastorius, Sam Jones, Randy Brecker, Gil Evans, the Yellowjackets, GRP All Star Big Band, Mike Manieri, and The New York Philharmonic, to name a few. He has done session work for James Taylor, Steve Winwood, Queen, Donald Fagan, Milton Nascimento, and countless others. When working with students, my objective is to inspire their desire to develop personal and systematic pathways toward becoming a better musician. Tricks of the trade and commentary on a student’s work are part and parcel, but it ultimately hinges on the work each student does on his or her own to connect with the music. How do you think about presenting your playing? Along with the life-long endeavor of mastering an instrument comes the task of deciding how you, as an artist, want to present your craft. This involves arranging, composing, the selection of repertoire and deciding who you want to play with and what the intent of the music should be. The question becomes how to present your music in the best light possible and how to incorporate what you’re working on as an instrumentalist into your repertoire using the aforementioned devices. I love making salads with ingredients from the Hollywood Farmers’ Market. The vegetables just explode with flavor. I always include homemade olive oil and locally grown avocados from my backyard! The beauty of California is that fresh produce is available year-round. Do you choose music, or does music choose you? In my case, music chose me, without question. I was drawn to anything I would hear on television, radio, recordings, or in concert, and was compelled to try and figure out what was happening in the music. I would spend hours at a piano trying to recreate snippets of music that I’d heard. I wanted to play every instrument that there was and wanted to figure out what made different kinds of music sound as they did. To this day, I can’t go in to a restaurant playing cheesy music and not analyze what I’m hearing. My brain gets sucked into the speakers. This can sometimes be a curse! What is your favorite thing to do in L.A.? My wife and I love to go to the Walt Disney Concert Hall and hear the Los Angeles Philharmonic, or any other kind of music that may be presented there. Disney Hall is one of the best concert halls I’ve ever experienced! We really enjoy having dinner at any number of fantastic restaurants in Los Angeles with good friends. Many of these restaurants are in absolutely beautiful settings. We also love to hike in Griffith Park or along the ocean in Malibu. It is incredible to have great weather for outdoor activity all year-round.